When using this general data and information no conclusions are drawn on the data subject. Rather, this information is needed to properly deliver the contents of our website, to optimize the content of the website as well as to advertise it, to ensure the continued functioning of our information technology systems and the technology of our website, and to prosecute the law enforcement agencies in case of a cyber attack in order to provide information. The collected data and information is anonymous and is therefore statistically and further processed with the aim of increasing data protection and data security in the company in order to ultimately ensure an optimal level of protection for the personal data processed. In principle, we collect and use personal data of our users only to the extent necessary to provide a functional website and our content and services. - When you decide to participate in a competition or raffle. It is up to you to decide whether you provide us with the required personal data in order to meaningfully participate or otherwise contract with us. If you provide us with personal data, such personal data will be treated confidentially and used only for the purpose for which you have provided us. The collection and use of personal data of our users, clients and suppliers takes place regularly only with the consent of the user, client or supplier. An exception applies to cases in which prior consent cannot be obtained for reasons of fact and the processing of the data is permitted by law. The legal basis for processing personal data is your declaration of consent, whether express or implied, when making use of our website or participating in any of the activities above that requires your personal data and is regulated under the provisions of Article 6 (1)(a) of the EU General Data Protection Regulation (EUGDPR). Contracts and pre-contractual negotiations and actions may require that we obtain your personal data in order to ensure the performance of the contract and would as such provide the legal basis for the processing of personal data in accordance with the provisions of Article 6(1)(b) of the EUGDPR. Whenever the legitimate interests of our Organization or a third party requires protection and such legitimate interest is not subject to your interests, fundamental rights and freedoms, Article 6(1)(f) of the EUGDPR would provide the legal basis for the processing of your personal data. The personal data of the data subject will be deleted or blocked as soon as the purpose of the storage thereof ceases. Additional data storage may be required if provided for by the European or national legislator in EU regulations, laws or other regulations to which the data controller is subject. Blocking or deletion of the personal data will also occur when the storage period prescribed by standard or law dictates such deletion or blocking of personal data, unless there is a need for additional periods of storage of the personal data for conclusion of a contract or fulfillment of a contract. The log files contain IP addresses or other data that allow an assignment to a user. This could be the case, for example, if the link to the website from which the user accesses the website or the link to the website to which the user is switching contains personal data. The collection of data for the provision of the website and the storage of the data in log files is essential for the operation of the website. There is consequently no infringement of the data subject rights of the user. The data subject can prevent the setting of cookies and thus also the tracking with pixel tags via the cookies through our website at any time by means of a corresponding settings of the Internet browser used and thus permanently contradict the setting of cookies. Furthermore, already set cookies can be deleted at any time via an internet browser or other software programs. This is possible in all common internet browsers. If the data subject deactivates the setting of cookies in the Internet browser used, not all functions of our website may be fully usable. The user data collected through these sort of cookies will not be used to create user profiles. The use of the analysis cookies and tracking pixels is for the purpose of improving the quality of our website and its contents. Through the analysis cookies and tracking pixels, we learn how the website is used and so we can constantly optimize our offer. - Anonymized analysis software of visitor behavior on the site. This allows us to customize content of the site based on interests in order to always optimize the experience on the website and to remain relevant to users. 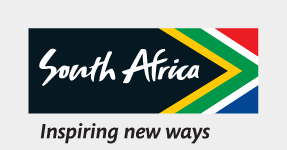 A newsletter will be sent by subscribing to the newsletter on the website or by registering as part of a South African Tourism marketing campaign. On our website it is possible to subscribe to a free newsletter. The data from the input mask are transmitted to us when registering for the newsletter. The purpose of the newsletter is to inform you about, for example, competitions and travel offers and to provide you with further information on travel destination South Africa. The newsletter is sent on the basis of registration of the user on the website or participation in a marketing campaign by South African Tourism, in which the user has expressed his interest in receiving the newsletter. Our website includes and electronic contact form, which can be used for electronic contact. Users utilizing this option of communication, are herewith notified that the data entered into the input mask will be transmitted to us and saved. Legal basis for the processing of the data is in the presence of the consent of the user Art. 6 para. 1 lit. a EUGDPR. The legal basis for the processing of the data transmitted in the course of sending an e-mail is Article 6 (1) lit. f EUGDPR. If the e-mail contact aims to conclude a contract, then additional legal basis for the processing is Art. 6 para. 1 lit. b EUGDPR. If any personal data on you is processed by any data controller (like us), you are called the "data subject" within the context of the EUGDPR and you are entitled to enforce the following rights towards us as the data controller. You may exercise your rights by contacting our Privacy Officer or the Service Center staff, indicating your concerns or your decisions in regard to your personal data. Any person concerned by the processing of personal data shall have the right at any time to obtain from the data controller any information concerning the personal data stored about him or her and a copy of such data and free of charge. Any person affected by the processing of personal data has the right to demand the immediate correction of incorrect personal data concerning him or her. Furthermore, the data subject has the right to request the completion of incomplete personal data, including by means of a supplementary declaration, taking into account the purposes of the processing. Any person affected by the processing of personal data has the right to require the controller to restrict the processing if the conditions laid down by the legislator in Article 18 (1) of the EUGDPR are met. Any person affected by the processing of personal data has the right to require the data controller to delete the personal data concerning him / her immediately, provided that one of the reasons stated in Article 17 (1) of the EUGDPR applies. Any person affected by the processing of personal data shall have the right to receive in a structured, common and machine-readable format personal data relating to him / her which is to be provided by the data controller. The data subject also has the right to transfer this data to another data controller without hindrance us, provided that the processing is based on the consent pursuant to Article 6 (1) (a) of the EUGDPR or Article 9 (1) (b) 2 (a) of the EUGDPR or on a contract pursuant to Article 6 (1) (b) of the EUGDPR and that the processing is carried out using automated procedures. Any person affected by the processing of personal data shall have the right, at any time and for reasons arising from his or her particular situation, to prevent the processing of personal data relating to them pursuant to Article 6 (1) (e) or (f) of the EUGDPR, by lodging an objection with the Data Controller. This also applies to profiling based on these provisions. In the event of an objection, the Data Controller will no longer processes the Data Subject’s personal data unless the Data Controller can establish compelling and legitimate grounds for continued processing and such grounds outweigh the interests, rights and freedoms of the data subject, or when continued processing is aimed at asserting, exercising or defending legitimate legal claims. If the company processes personal data in order to operate direct mail, the data subject has the right to object at any time to the processing of personal data for the purpose of such advertising. This also applies to the profiling, as far as it is associated with such direct mail. If the data subject objects to the processing of personal data for the purposes direct marketing, the personal data will no longer be processed for those purposes. The data controller has integrated the component, Google Analytics (with anonymisation function), on its website. Google Analytics is a web analytics service. Web analysis is the collection, collection and analysis of data about the behavior of visitors to websites. Among other things, a web analysis service collects data on which website a person has come to a website (so-called referrers), which sub-pages of the website were accessed or how often and for which length of stay a sub-page was viewed. Web analytics is used primarily to optimize a website and cost-benefit analysis of Internet advertising. The controller uses the addition "_gat._anonymizeIp" for web analytics via Google Analytics. By means of this addendum, the IP address of the person's Internet connection will be shortened and anonymised by Google if the access to our website is from a Member State of the European Union or from another state party to the Agreement on the European Economic Area. The purpose of the Google Analytics component is to analyze visitor flows on our website. Among other things, Google uses the data and information obtained to evaluate the use of our website, to compile for us online reports that show the activities on our websites, and to provide other services related to the use of our website. Google Analytics uses a cookie on the information technology system of the person concerned. What cookies are, has already been explained above. By using this cookie Google is enabled to analyze the use of our website. Each time one of the pages of this website is accessed by the controller and a Google Analytics component has been integrated, the Internet browser on the information technology system of the person concerned is automatically initiated by the respective Google Analytics component To submit data to Google for online analysis purposes. In the course of this technical process, Google receives knowledge about personal data, such as the IP address of the person concerned, which is used by Google, among other things. The cookie stores personally identifiable information, such as access time, the location from which access was made and the frequency of site visits by the data subject. Each time you visit our web pages, your personal information, including the IP address of the Internet connection used by the data subject, is transferred to Google in the United States of America. This personal information is stored by Google in the United States of America. Google may transfer such personal data collected through the technical process to third parties. The affected person can prevent the setting of cookies by our website, as already shown above, at any time by means of a corresponding setting of the Internet browser used and thus permanently contradict the setting of cookies. Such a setting of the Internet browser used would also prevent Google from setting a cookie on the information technology system of the person concerned. In addition, a cookie already set by Google Analytics can be deleted at any time via the Internet browser or other software programs. Furthermore, the data subject has the option of objecting to and preventing the collection of the data generated by Google Analytics for the use of this website as well as the processing of this data by Google. The data controller has integrated Google AdWords on this website. Google AdWords is an Internet advertising service that allows advertisers to run both Google and Google Network search engine results. Google AdWords allows an advertiser to pre-set keywords that will display an ad on Google's search engine results only when the search engine retrieves a keyword-related search result. On the Google Network, ads are distributed to topic-relevant Web pages using an automated algorithm and according to pre-defined keywords. The purpose of Google AdWords is to promote our website by displaying interest-based advertising on third-party websites and in the search engine results of the search engine Google, and by displaying advertisements on our website. If an affected person reaches our website via a Google ad, a so-called conversion cookie will be deposited on Google's information technology system by Google. What cookies are, has already been explained above. A conversion cookie expires after thirty days and is not used to identify the data subject. About the conversion cookie, if the cookie has not yet expired, traced whether certain sub-pages, such as the shopping cart from an online shop system, were accessed on our website. The conversion cookie tells both us and Google whether an affected person who came to our website via an AdWords ad generated revenue, ie, completed or canceled a purchase. The data and information collected through the use of the conversion cookie is used by Google to provide visitor statistics for our website. These visit statistics are then used by us to determine the total number of users who have been sent to us through AdWords ads, in order to determine the success or failure of each AdWords ad and to optimize our AdWords ads for the future , Neither our company nor any other Google AdWords advertiser receives any information from Google that could identify the data subject. The conversion cookie stores personal information, such as the web pages visited by the affected person. Each time you visit our web pages, your personal information, including the IP address of the Internet connection used by the data subject, will be transferred to Google in the United States of America. This personal information is stored by Google in the United States of America. Google may transfer such personal data collected through the technical process to third parties. The affected person can prevent the setting of cookies by our website, as already shown above, at any time by means of a corresponding setting of the Internet browser used and thus permanently contradict the setting of cookies. Such a setting of the Internet browser used would also prevent Google from setting a conversion cookie on the information technology system of the person concerned. In addition, a cookie already set by Google AdWords can be deleted at any time via the Internet browser or other software programs. Furthermore, the data subject has the opportunity to object to Google's interest-based advertising. To do this, the person concerned must access the link www.google.com/settings/ads from each of the Internet browsers they use and make the desired settings there. Each time one of the pages of this website is accessed by the controller and a YouTube component (YouTube video) has been integrated, the Internet browser on the subject's information technology system will automatically be activated by the respective YouTube component to download an illustration of the corresponding YouTube component from YouTube. More information about YouTube can be found at https://www.youtube.com/yt/about/en/ . As part of this technical process, YouTube and Google are aware of the specific bottom of our site being visited by the data subject. If the data subject is logged in to YouTube at the same time, YouTube recognizes by calling a subpage containing a YouTube video which specific subpage of our website the affected person visits. This information is collected by YouTube and Google and associated with the individual YouTube account. YouTube and Google always receive information through the YouTube component that the data subject has visited our website if the data subject is simultaneously logged into YouTube at the time of accessing our website; this happens regardless of whether the person clicks on a YouTube video or not. If such transfer of this information to YouTube and Google is not wanted by the data subject, it can prevent the transfer by logging out of their YouTube account before calling our website. Third-party technologies Doubleclick, AdWords, The Trade Desk, Outbrain and Facebook allow advertisers who are already interested in our site to interact with affiliate sites and social media sites. The technologies work completely anonymized, no personal data (eg IP address or similar) are stored and no user profiles are combined with personal data. The use by you as a person is not evaluated, but the usage history of your internet browser (browser type, pages visited, visiting hours, length of stay, referrer URLs, viewed ads, clicked advertising banners, etc.). This not only gives you general, but also ads tailored to web usage on your computer. On the other hand, the collected information is also processed for reporting purposes, for example, to check the effectiveness of advertising campaigns or advertisements, for example to generate statistics on how many times clicking on advertisements has led to a purchase or further action on the advertiser's website. Both the display of the advertising and the reporting are completely anonymous. The data controller uses so-called social plugins of various social networks on its website; these are described individually in this section. When using the plugins, your Internet browser establishes a direct connection to the servers of the respective social network. As a result, the respective provider receives the information that your Internet browser has accessed the corresponding page of our online service, even if you do not have a user account with the provider or are currently not logged into this. Log files (including the IP address) are transmitted from your Internet browser directly to a server of the respective provider and possibly stored there. The provider or its server may be located outside the EU or the EEA (eg in the USA). The plugins represent independent extensions of the providers of social networks. Therefore, we have no influence on the extent of the collected and stored by the providers of social networks through the plugins data. If you do not want social media providers to process data through this online offering, you should not use the plugins. With the so-called 2-click solution (provided by Heise Media GmbH & Co. KG), SAT protects you from the fact that your visit to our web pages is recorded and evaluated as standard by providers of social networks. If you visit a page of our website that contains such plugins, these are initially disabled. Only when you click the provided button, the plugins are activated. Facebook servers, and Facebook receives the information that you have accessed our website with your IP address. If you are logged in to your Facebook profile, you can link the contents of our website to your Facebook profile by clicking the "Share" button. If you are not a member of Facebook, there is still the possibility that Facebook will find out and save your IP address. Our website also includes the "Tweet" button, a plugin from the Twitter social network (Twitter Inc., 1355 Market St, Suite 900, San Francisco, CA 94103, USA (Twitter)). The content of this plugin is inserted by Twitter directly into your browser. If you activate the "Tweet" button with the first click, a direct connection is established between your browser and the servers of Twitter, and Twitter receives the information that you have accessed our website with your IP address. If you are logged in to your Twitter profile, you can use the "Tweet" button to link content from our website to your Twitter profile. If you are not a member of Twitter, there is still the possibility that Twitter will find out and save your IP address. If you have a Twitter account and do not want Twitter to collect information about you from your stay on our website and link it to your data on Twitter, log out of Twitter before visiting our website. It is also possible to block Twitter social plugins with add-ons for your browser, for example with the "Twitter Blocker" (https://disconnect.me). Our website also includes the "Pin" button, a Pinterest social networking plugin (Pinterest Europe Ltd. Palmerston House, 2nd floor Fenian Street Dublin 2, Ireland (Pinterest)). The content of this plugin is inserted directly into your browser by Pinterest. If you activate the "pin" button with the first click, a direct connection between your browser and the servers of Pinterest will be established, and Pinterest will receive the information that you have accessed our website with your IP address. If you are logged in to your Pinterest profile, you can link contents of our website to your Pinterest profile by clicking the "Pin" button. If you are not a member of Pinterest, there is still the possibility that Pinterest will learn and store your IP address. If you have a Pinterest account and do not want Pinterest to collect information about you during your stay on our website and associate it with your information on Pinterest, log out of Pinterest before visiting our website. It is also possible to block Pinterest Social Plugins with add-ons for your browser, for example with the "Pinterest Blocker" (https://disconnect.me).